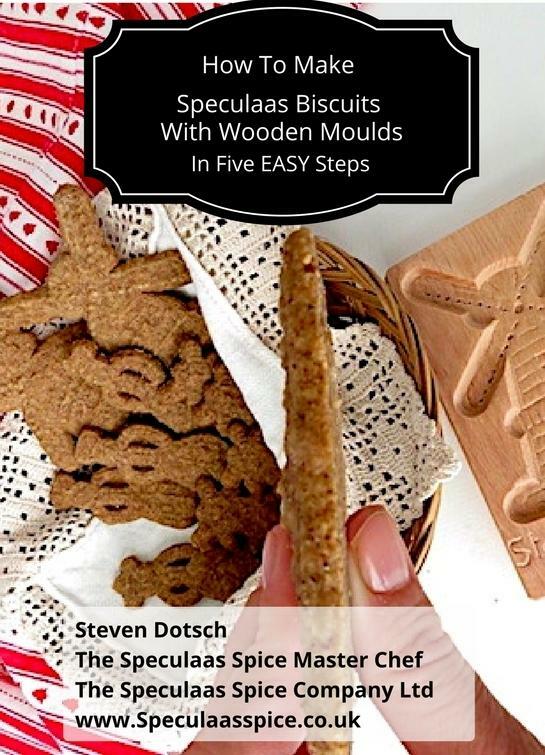 Become a master biscuit baker with my e-Brochure "How to Make Speculaas Biscuits with Wooden Moulds in Five EASY Steps". With my easy-to-read e-Brochure you will learn how easy it is to make speculaas biscuits with our wooden moulds. Now you too can make great looking and -tasting Dutch speculaas biscuits. Using our eBrochure, you will be making delicious tasting and smelling speculaas biscuits in no time. Download it now. Add it to your shopping basket below. Happy vandotsch speculaas spice baking times ahead!